The Hudson Coal Company Locomotive: 193? This page refers expressly to locomotives that are driven by stored compressed air to provide independent locomotion. In contrast, the German diesel-pneumatic locomotive used compressed air purely as a transmission element between a diesel engine and the cylinders turning the wheels. Other compressed-air vehicles such as cars and trams now have their own page in the Transport section of the Museum of Retrotech. The principle of compressed-air propulsion seems very simple. Pressurise your storage tank, connect it to something very like a reciprocating steam engine, and off you go. At least you are spared the difficulties, both technical and medical, of using ammonia, petrol, or carbon disulphide as the working fluid. Unfortunately there are still problems. If you have ever pumped up a bicycle tyre, you will know that the pump body gets uncomfortably hot quite quickly. Compressing a gas generates a lot of heat, and all this energy is lost when you store the air and it cools down. The losses can be reduced by compressing the air in two or more stages, and cooling it between the stages, but they are still substantial. At the other end of the process, using compressed air to run an engine, the main problem is keeping the system working at all. When a gas expands it gets colder, and unless the stored air is perfectly dry (which it won't be) ice will start forming in the pipework and engine, and things will soon grind to a halt. 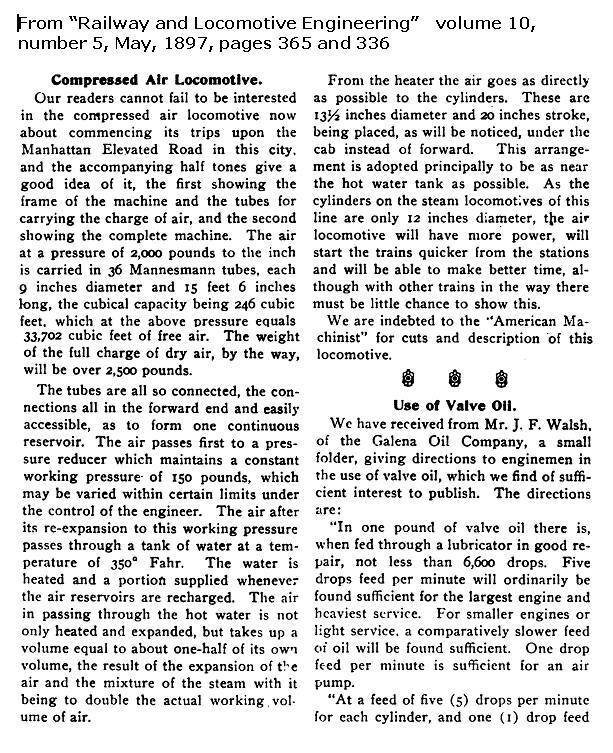 A long article on compressed air locomotives and their use appeared in Compressed Air Magazine for Oct 1902, Vol 7 No 8, p2000 - p2006. About 1819, William Murdock and David Gordon are believed to have made some experiments with compressed-air carriages, apparently for road rather than rail, but nothing is known about the results. 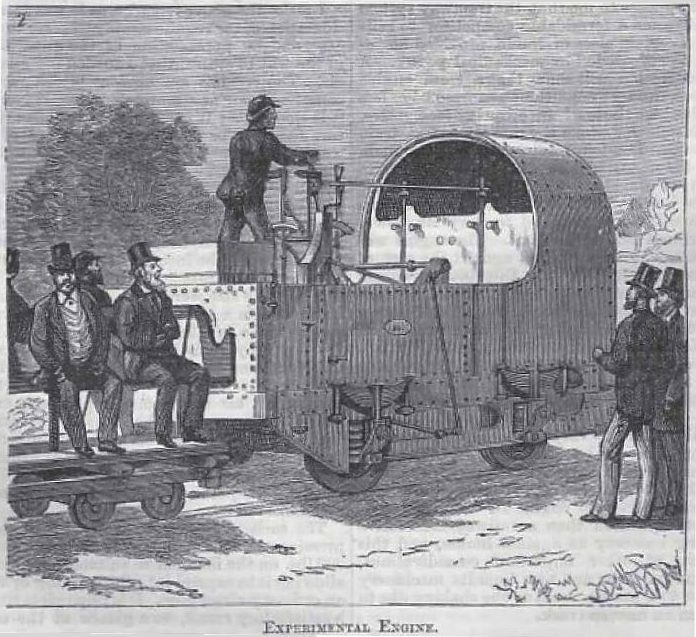 By 1821 David Gordon had attempted to set up a company to promote road locomotives propelled by a high pressure engine, or a gas vacuum engine, or a pneumatic engine supplied by what he called "portable gas". He was the father of Alexander Gordon, who specialised in lighthouses. William Mann, of Brixton, turned his attention to the subject in 1827, obtained a patent in 1828), and published a pamphlet on the subject in 1830. He advocated compression in stages, now recognised as essential for the efficent production of air at high pressures, and the erection of power stations along the high roads at intervals of 15 to 20 miles, or a continuous iron main with power stations in the coal districts. 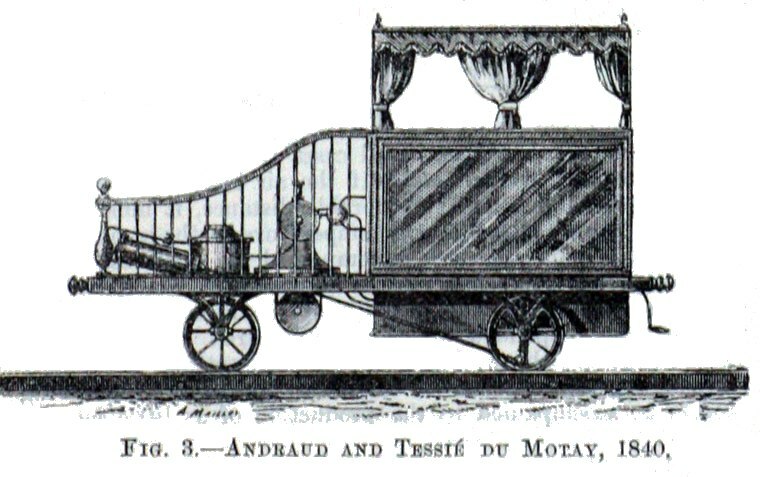 The first air powered rail vehicle that is known to have actually been built was constructed by M. Antoine Andraud and Tessie du Motay (full name Cyprien-Marie Tessie Du Motay) in 1839 at the Chaillot Coachworks in Paris, France; it was tested on Thursday 9th July 1840. It could seat eight passengers. The storage pressure was 17 atmospheres (250 psi) and the engine pressure three atmospheres, (44 psi) which implies the use of a pressure-reducing valve. The inclined cylinder at the left appears to be coupled directly to the rear wheels. (I am assuming the front is at the left) If the round things above and below the frame are air reservoirs, they do not look big enough to take the machine very far. No other details are available at present. The drawing may be a bit fanciful- did what appears to be the passenger compartment really have elaborate curtains? 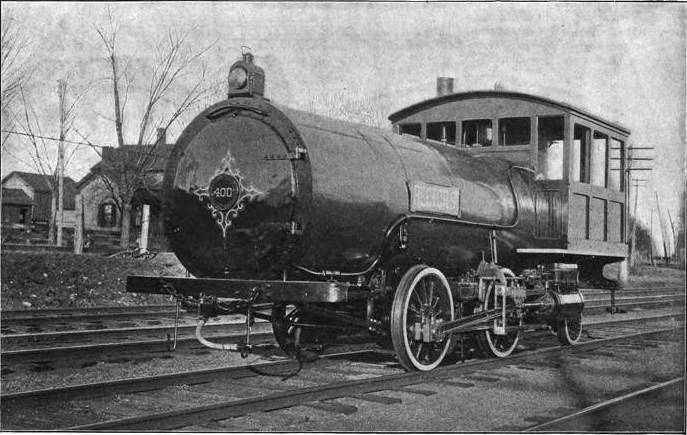 A description of trials of this first locomotive appeared in the Mechanic & Chemist, p207. We learn that "...air can be compressed almost without expense, wherever there is a stream or windmill to work the machinery..." which is a little optimistic. The image below is believed to be of this machine. It looks a good deal more practical than the 1840 prototype. This image comes from the Encyclopedia Catholique, which gives these details: the capacity of the tank was between 8 and 10 cubic metres, pressurised to 20 atmospheres. (293 psi) The pressure agrees with the value given above, but 8 cubic metres is 282 cubic feet, almost three times as much. Arthur Parsey took out English patents for compressed-air locomotives in 1839, (No 8,093) 1844, and 1854. (No 88) He also took out a US patent (No 5,205) in 1847. 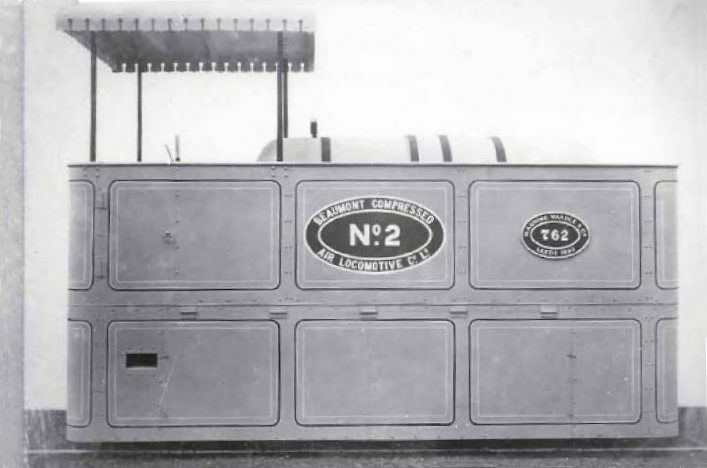 The reservoir A was filled with air "compressed to as great an extent as was compatible with safety" which fed receiver chamber D, kept at engine pressure by an automatic reducing valve C. The use of a receiver at reduced pressure between the main storage tanks and the engine was the forerunner of many similar arrangements. Parsey anticipated a storage poressure of between 1000 and 2000 psi, with an engine pressure of 60 psi. A pipe fed the double-acting steeple engine B. At F is the air recharge valve, and G is the safety valve. The engine had two cylinders, to prevent dead-centre problems. The locomotive was said to be intended for coal-mine work, where the absence of smoke and fire would be a great advantage. The image is taken from the US patent. 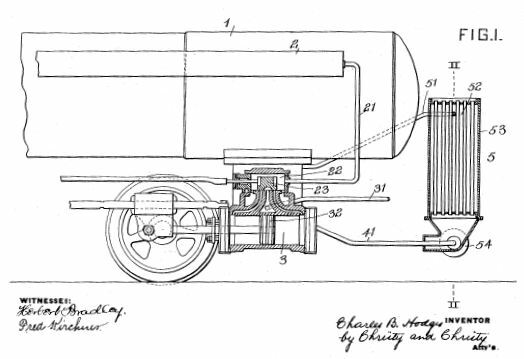 The USA patent contains a rather worrying second section in which the basic air locomotive is provided with means for pumping air back into the receiver after its use in the engine. Parsey says "I propose under some circumstances instead of allowing it to blow off like the steam of a high pressure engine, to return the compressed air into the receiver A after it has acted upon the piston." I assume he means reservoir A (ie the main storage tank) as the receiver is labelled D, which means that the used air would have to be raised to 1000 psi or so; this confusion about terms undermines one's faith in Mr Parsey. And what does "some circumstances" mean? Now if this pumping-up referred to regenerative braking it would be impressive; but it does not, and it raises the fear that some sort of perpetual motion is intended. In fact Parsey suggests the pumping might be done by hand (which sounds totally impractical) but he prefers to "employ a small steam engine" for the task. Therefore our beautifully simple air locomotive now has added to it a steam boiler, water tanks, storage for coal, and so on. It is a daft notion, and suggests that Mr Parsey was not a very practical man. The locomotive is an accurate representation of the model shown below. The York Railway Museum states positively that no full-scale version was built. This scene is imaginary, and it certainly isn't coal-mine work. This image appeared in the Illustrated London News for 28 Feb, 1846, p140, at the head of an article entitled 'Parsey's Air Engine'. It stated that Parsey claimed the maximum speed could be varied from 20 to 100 mph by varying the receiver pressure, and that a charge of air would drive the locomotive for 50 miles while pulling a 40-ton train. Recharging stations were to set up every 30 miles. This working model is in the York Railway Museum in England. They say it was constructed in 1845 to demonstrate Parsey's patents of 1839 and 1844, and later presented to the Directors of the Great Western Railway by the late Sir James Caird Bt. He was a shipowner, so it is unclear how he got hold of it. There is no coupling between the wheels, and it is not possible as they are of different sizes, so only the centre axle provided tractive adhesion. This would probably have led to difficulties with wheel-slip if a full-size version had been built. In 1846 the Parsey model was on display in at the office of Parsey's Compressed Air Engine Company, No 5 Pall Mall East, where it was viewed by one William Williams of Regent Square, London. He was not impressed. He felt that "...the high praise and patronage that have been bestowed upon the invention" was undeserved, as it overlooked the power loss at the reducing valve. 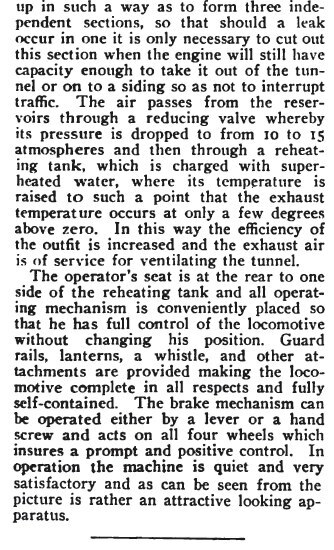 He accepted that the reducing valve took in a small amount of air at high pressure and yielded a larger volume at a lower pressure, but had convinced himself there were mysterious losses that would reduce the range of the locomotive to one or two miles. Williams' thoughts were published in Mechanics Magazine, Volume 44, p200, Sat 14 March 1846, No 1179. Another critic was 'A W', whoever he was, who regarded the Parsey proposal as a 'bubble' ie highly speculative and possibly dishonest. He seems to have even less grip on the situation than Mr Williams, believing that the pressure drop at the reducing valve represented power that was entirely thrown away. He concludes, "I cannot help adding farther that 1000 psi is a dangerous pressure to be so employed. The projectors assert that air possesses all the expansive power of steam; this is quite true, but it is also true that it is equally dangerous." That seems a fair comment if Parsey was intending to use copper vessels at 1000 psi. There was some more equally uninformed bitching on p221 of that issue of Mechanics Magazine, from 'J M', whoever he was, about reducer losses. None of the correspondents mentioned the source of the very real inefficiency of the overall process- the losses when the air was compressed in the first place. This drawing comes from the Illustrated London News artcle mentioned above. I'm afraid the quality is poor. Nonetheless, it is informative. The two storage vessels A appear to be permanently connected together via the pipe OCK. The receiver is at E and the reducing valve at G. The two engine cylinders are at K.
Google has little to say about Arthur Parsey, but this appears to be the same man. If so he lived from 1791 to 1857. His major interest seems to have been poetry, at which he was apparently not very successful. His "single volume of poems was coldly received". Still assuming we have the right man, in 1832 he published The quadrature of the circle discovered. Since the quadrature of the circle, as usually described in Euclidean geometry, is quite impossible, this may give some insight into Parsey's attitude to perpetual motion. In 1848 Anthony Bemhard, Baron von Rathlen, constructed a vehicle which was run from Putney to Wandsworth on several occasions in that year. The carriage weighed three tons, and on its first run, with the reservoirs only partly charged with air, it covered a mile at the uniform rate of eight miles an hour. On another occasion it carried about twenty passengers from Putney to Wandsworth at a speed of over twelve miles an hour. The reservoirs were in the form of tubes, and were of 75 cubic feet capacity ; the air was stored in them at a pressure of from 50 to 60 atmospheres. The working pressure in the engine cylinders was five atmospheres, and a reducing valve was employed to bring down the storage pressure to the working pressure. Von Rathlen's system comprised special methods of cooling the air during compression and of supplying heat to it when working. The ultimate fate of this carriage is not known, but the inventor was still engaged in inventing compressed-air engines twenty years later. At the end of 1855, a constructor called Julienne ran some sort of vehicle at Saint-Denis in France, driven by air at 25 atmospheres. (350 psi) It weighed about a ton when loaded. I have found a reference to Rufus Gilbert's Elevated Company, chartered in 1872, which was to run along 6th Avenue to 59th Street in New York on compressed air power. It was apparently "stalled by the financial panic of 1873". The Saint Gotthard rail tunnel in Switzerland was built in the period from 1871 to 1881. It is 9 miles long and is the highest section of the Gotthard Railway in Switzerland, connecting G�schenen with Airolo. It was the first tunnel through the Gotthard mountain massif. It is double-track and standard gauge. Difficulties were encountered removing the spoil from the long tunnel headings; steam locomotives could not be used because of the very limited ventilation. The high price of horses and the large number required prevented their use. Therefore a first experiment was made with compressed air, in which two ordinary steam locomotives were employed, one at each side of the tunnel; the boilers being filled with condensed air at 4 atmospheres rather than water. The results were encouraging, and purpose built compressed air locomotives were constructed by Schneider et Cie (Schneider-Creusot) of France. 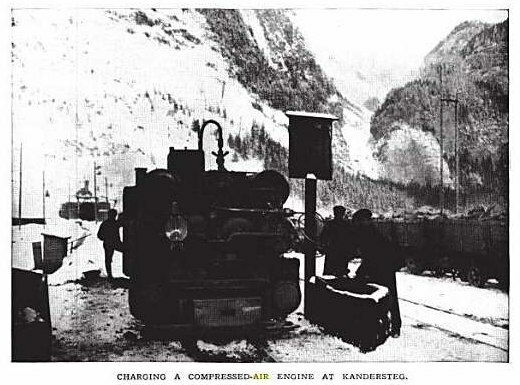 The Saint Gotthard tunnel saw the first extensive use of compressed air locomotives for haulage. 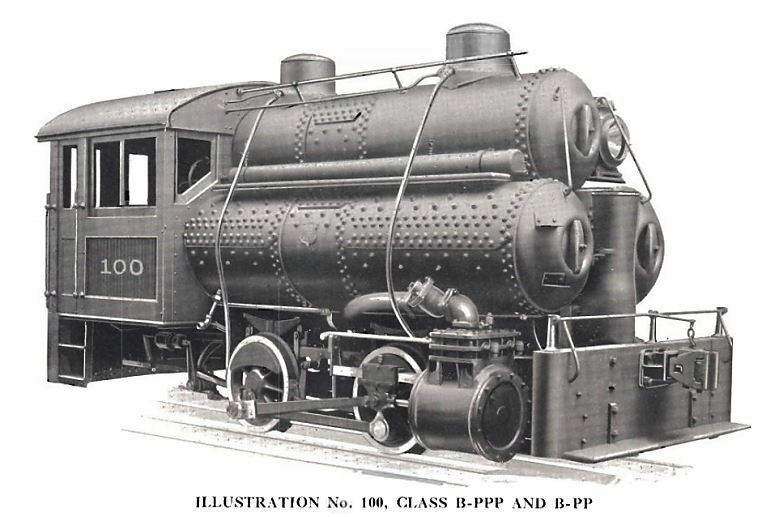 This illustration shows a 0-4-0 locomotive. An advantage was that the cold exhaust air aided the ventilation of the tunnel. The weight was quoted as about 7 tons. 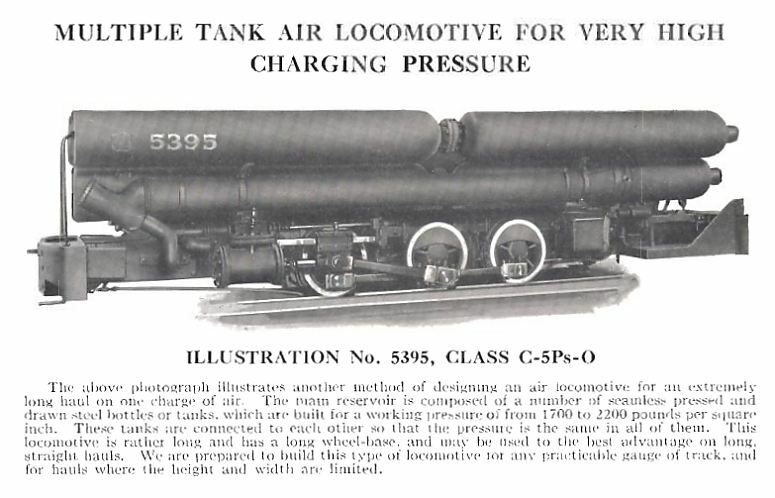 The operating pressure is stated as 7.35 kg/cm2 (105 psi) which is low compared with later machines, and similar to the boiler pressures of the steam locomotives of the day; this was probably no accident, for if you are experimenting with machines that might explode you want to start with existing technology. It is noticeable that the air tank has a greater diameter, apparently thinner plates, and fewer and smaller rivets than later high-pressure machines. This photograph, taken in 1875, shows the locomotive above, (No 6) towing behind it a much larger supplementary storage tank that appears to be mounted on two 4-wheel bogies. Note the lamp on the front of No.6. The "air tender" was required to get sufficent range with a low storage pressure. The Popular Science Monthly states that originally the air was let straight into the cylinders, restrained by varying the cut-off. This proved unsatisfactory, and M. Ribourt, the engineer of the tunnel, devised this pressure reducing valve. The air from the main tank comes in at A. When the pressure at the outlet D acting on the piston N exceeds the force set by screwing down the spring, the valve M noves to the left, closing the ports and reducing air flow. From D the air passed to a small reservoir that absorbed fluctuations as the cylinders took air. Presumably there was also some sort of throttle valve between the small reservoir and the cylinders; this is so far unconfirmed, but there is something that looks very like a regulator handle sticking out of the rear of the tank in the first picture above. In 1878 the Second Avenue Railroad of New York City tested and then operated for a period in 1879, five tramcars built by the Pneumatic Tramway Engine Company. They were designed by Robert Hardie, who had General Herman Haupt, a civil engineer, as an enthusiastic backer. 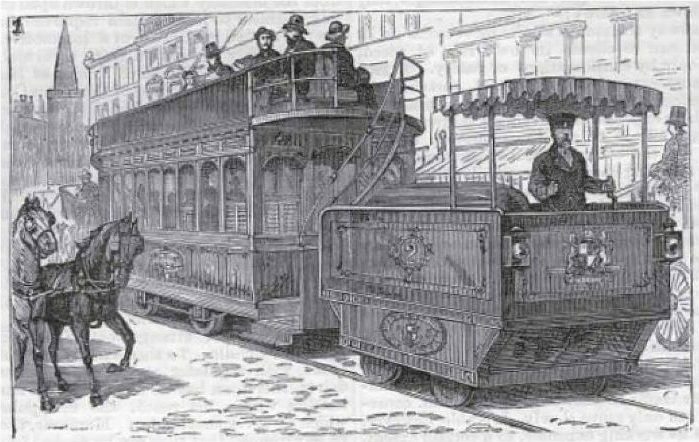 Haupt wrote extensively and plugged compressed-air trams at every opportunity. The tram engine had one stage of expansion, and is said to have had a more advanced type of preheating than the Mekarski tram system, though it still seems to have used hot water; the details of this are currently obscure. The storage pressure appears to have been 1000 psi, but the engine working pressure is currently unknown. 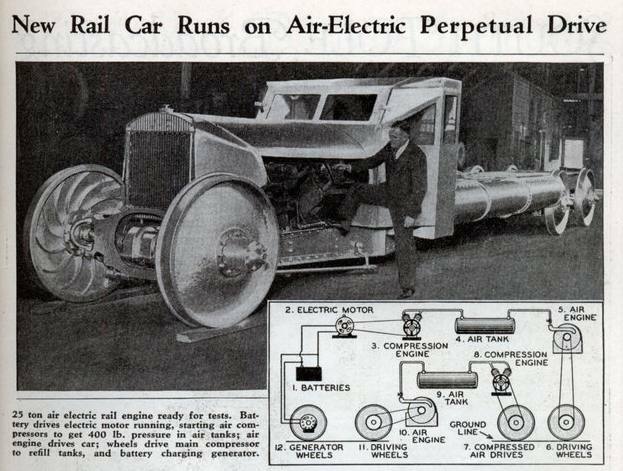 Regenerative braking was introduced; using the engine as a compressor to slow the tram, hot air could be forced back into the storage tanks, increasing the range, enhancing overall efficiency, and alleviating if not eliminating the problem of running out of air for braking. The Hardie trams were supplied with air at 1000 psi by the 1500hp steam-powered four-stage compressor used by the Manhattan Elevated Railway; this also powered the Hoadley-Knight pneumatic locomotives mentioned below. Note the use of multi-stage compression to reduce losses. 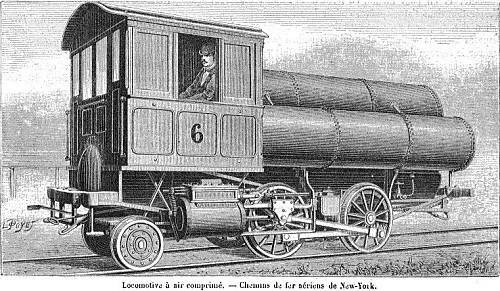 An article in the French journal La Nature states that compressed-air locomotives on the Hardie system were giving satisfactory results on the Elevated Railways of New York, though there are few details of the working and it is not clear from the text whether the locomotives were on trial or in regular operation. If anyone can provide more details I would be most grateful. Left: Illustration from La Nature of a New York air loco: 1882. 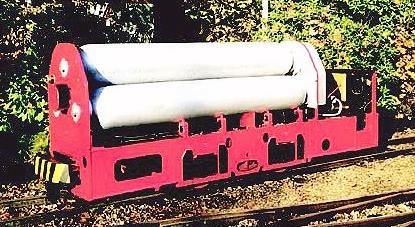 The locomotive carried four steel storage cylinders 91 cm in diameter and 13 m3 in volume, pressurised to 42 kg/cm2. (597 psi) The air passed through a vertical bouillotte which heated it to 90 degC, and went to the engine cylinders via a throttle and a reducing valve designed to keep the cylinder pressure at 8 - 9 atms. How the bouillotte was kept hot is not revealed, but presumably a coal fire was used. Meyer valve-gear was fitted, and regenerative braking- when slowing down the engine worked as a pump, pushing air back into the storage tanks. The range was given as 13 km. Lieutenant-Colonel Frederick Beaumont was appointed to run the railway network of the Royal Arsenal in 1873. By 1876 he was taking interest in compressed-air locomotives as a safe way of operating a site where large amounts of explosives were stored. By 1877 an experimental 18-inch gauge locomotive was working; it was a very small machine with sixteen main air reservoirs and four as a get-you-home reserve. The Royal Arsenal at the time was manufacturing the Whitehead torpedo under licence. These were powered by compressed air, and the Arsenal had compressor equipment capable of charging reservoirs to 1000psi. In a paper in the Society of Arts Journal for 18 March 1881 Beaumont said "The earliest attempts were confined to compressing air at a comparatively low pressure, say 200 pounds per square inch" This pressure was low by later standards, but still twice that used in the Saint Gotthard tunnel. Beaumont said it gave a limited power output, but there were still problems with freezing of the engine cylinders. 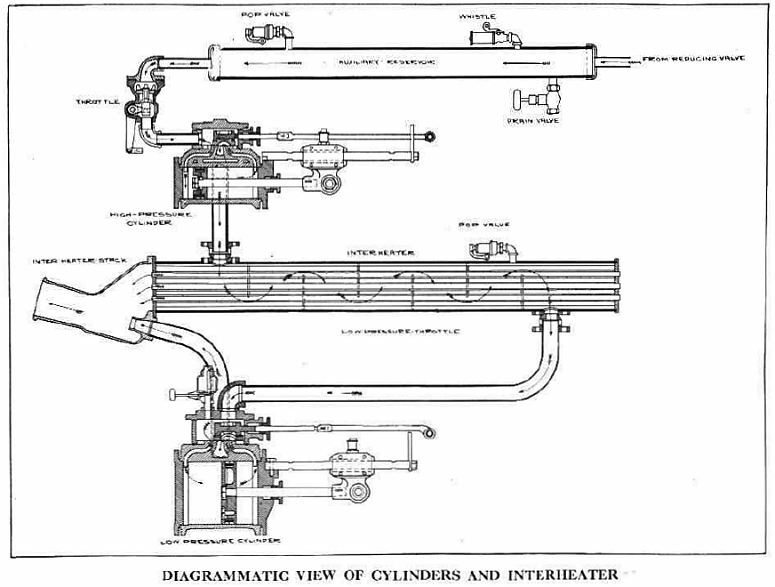 This drawing shows a single air reservoir and inclined cylinders. The rectangular thing at lower left is a small steam boiler, complete with chimney, which supplied steam-jackets on the cylinders to prevent them icing-up. This clearly an undesirable complication but Beaumont found it essential. The patent specified four cylinders, one at high pressure and one at low pressure on each side of the chassis, for compound operation. 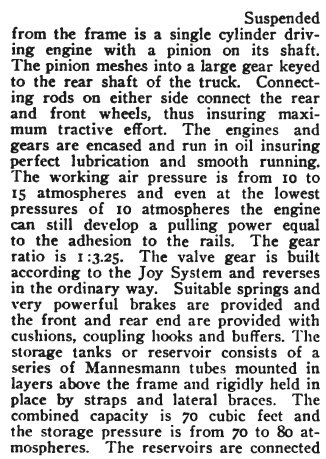 On the 25 of July 1979, an order was placed with Manning Wardle for a standard-gauge compressed-air locomotive with storage at 1000psi. This had its first public test on 6 May 1880 when it ran successfully on the track of the SER between Dartford and Woolwich Arsenal. Details of this locomotive are sparse, but according to the Dartford Chronicle the engine had six cylinders which were fed from an 'expansion box' which presumably reduced the 1000psi storage pressure to an engine pressure of the order of 200psi. How these cylinders were arranged, and if there was a geared drive to the axles, is unknown. We do know however that the piston stroke was 12 inches, and there were six coupled wheels of three feet in diameter. It was known as Manning Wardle No 761. This is a front elevation of the locomotive. On each side of the chassis there is one cylinder E working at high pressure and one cylinder F at low pressure, for compound operation. Variable inlet-valve cutoff was included, and means for operating the engine in simple mode for greater tractive at starting. The items L and L are foot-pedals for operating the brakes. 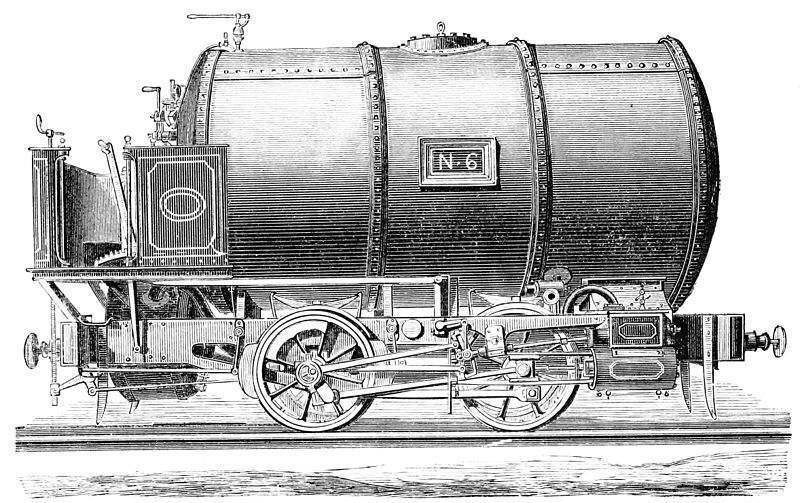 A second compressed-air locomotive, Manning Wardle No 762, was ordered in March 1880 by Beaumont for his own company, like No 761; it was delivered in September that year. More is known of it than the mysterious No 761; it was four-coupled and weighed 7 tons. The air reservoir had a capacity of 60 cubic feet, and worked at 1000psi, the top of it is visible in the photograph. No 762 was primarily intended for experimental public tramway use, and therefore had the wheels and coupling rods hidden behind valance plates to meet safety legislation. This image accompanied the 1881 Society of Arts paper. Here it is towing an unpowered tram car; there seem to have been changes to the valance plates. This locomotive was obtained from Greenwood & Batley. it had two set of compound cylinders of 2.75 and 10 inch diameter, and a 65 cu ft air reservoir holding air at a maximum pressure of 1000 psi. 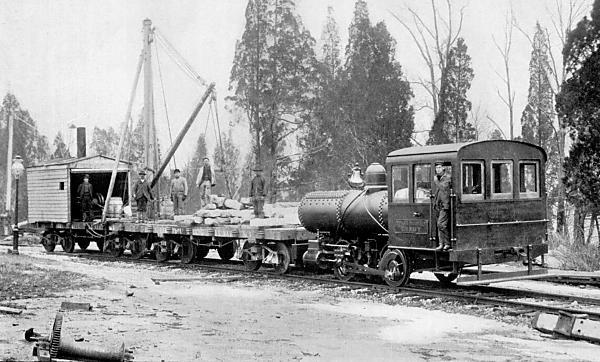 It weighed 8 tons 10 cwt and pulled a 4-ton tramcar. Tram trials of this locomotive on a public road were carried out between Stratford and Green Man, Leytonstone, in east London. This route consisted of 2.5 miles of double-track line; it rose 82 feet with a maximum gradient of 1 in 25. The tightest curve, at Maryland, had a 50 ft radius. These trials were successful; on one run the locomotive and trailer started off at Stratford with 1000 psi, which had fallen to 675 psi at Leytonstone. On the (downhill) return run 550 psi was left on reaching Stratford, which sounds like a useful reserve of power. However Beaumont's efforts to sell his system to the North Metropolitan Tramways Company fell through. This image accompanied the 1881 Society of Arts paper. The Hoadley-Knight system (devised by Joseph Hoadley and Walter Knight) was the first to incorporated a compound (two-stage expansion) engine. This would have improved efficiency directly, as compounding did for steam engines, because it gave the opportunity for reheating the air between the HP and LP cylinders, and this would also have reduced icing problems. 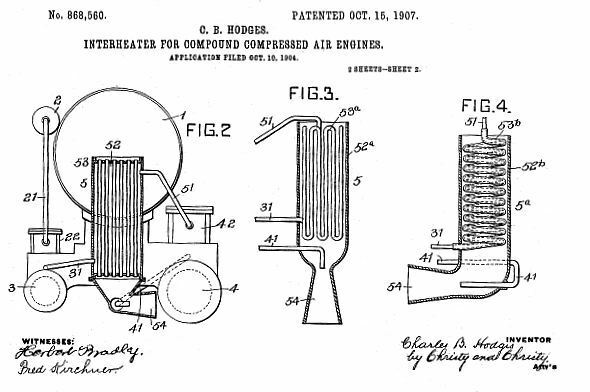 The Hoadley-Knight patents suggest hot water was used to heat the air before the HP cylinder, and also reheat it between the HP and LP cylinders. The system was trialed in New York from 1894 to 1899, but without lasting success. In October 1907 Charles B Hodges was granted US patent 868,560 for a two-stage engine employing a reheater between the two piston stages to warm the partially expanded compressed air. This air was passed through a heat exchanger, which was warmed by the ambient air, drawn through it by using the exhaust air in an ejector. 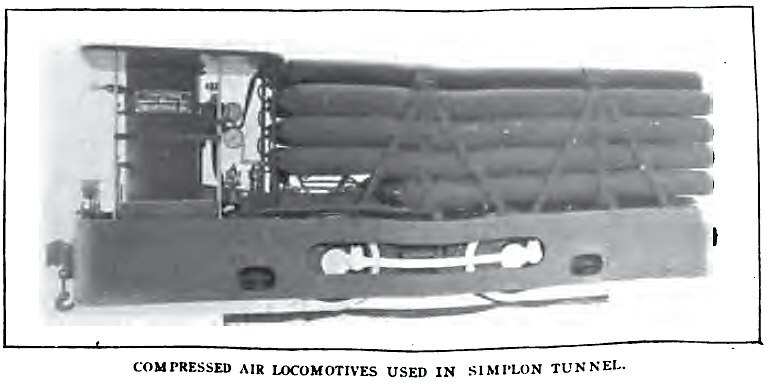 Similiar ejectors (blown with steam, not air) were commonly used to generate the vacuum used by braking systems of steam locomotives. This ingenious development eliminated the need for bouillottes and little coke fires, and introduced no new moving parts. Air was the only fluid employed. A substantial gain in range was attained; up to 60% appears to have been possible. Hodges referred to his device as an 'interheater' rather than 'reheater' which would be what it would be called today. Intriguingly he refers to improvement in interheaters, which implies the idea was already known. Presumably these were bouillottes or coke-fired stoves. Air from the main tank 1 passes to the auxiliary reservoir 2 via a pressure-reduction valve, and then via pipe 21 to the high-pressure cylinder 3. The cold exhaust air from this goes via pipe 31 to interheater 5. It is warmed by ambient air and then goes via pipe 51 to the low-pressure cylinder 4. The cold exhaust from this is sent back via pipe 41 to the interheater, where it operates ejector 54 to draw ambient air through the interheater. In practical designs the ejector horn was pointed diagonally upwards, presumably to avoid stirring up dust on the bed of the roadway. The patent was assigned to the H K Porter locomotive company. They built the first two-expansion system in 1908. 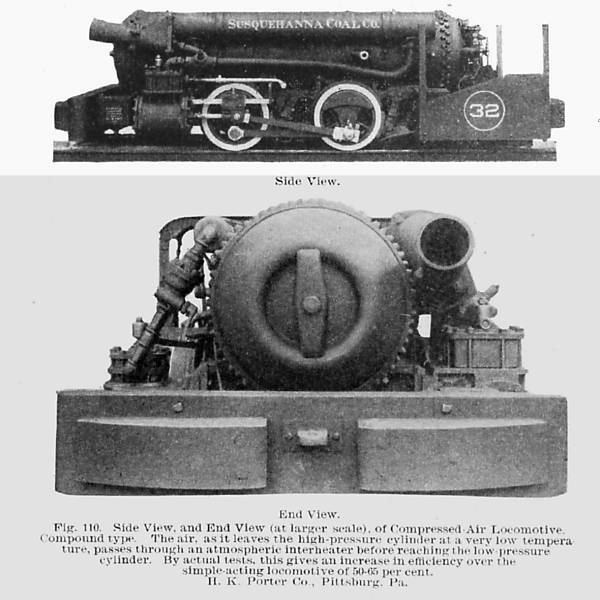 The H K Porter Company of Pittsburgh bought the rights to Hodge's US patents and sold hundreds of locomotives so equipped to coal-mines in the eastern USA, in the period 1896-1930. In 1910 Porter had 90% of the market. They were used extensively in gassy mines where explosions were an ever-present danger. No doubt the cold exhaust air was once more welcome to supplement the mine ventilation. A typical Porter engine stored air at between 800 and 1200 psi, throttled down to 100 to 150 psi at the cylinders. The air was compressed in multi-stage machines, and distributed by pipe to charging stations along the haulage routes. Porter claimed that the refilling operation could be easily completed in 1 and a 1/2 minutes, with the air valve only being open for 40 to 50 seconds. The air reservoirs were tested to 30% above their working pressure. The large funnel in the top picture is the the diffuser outlet from the ejector that pulled ambient air through the reheater. The reheater is the cylinder visible in the upper photograph with "Susquehanna Coal Co." painted on it. In this front view the reheat ejector is top right. At top left the end of a small-diameter cylinder can be seen; this is the end of the auxiliary reservoir. The air is stored at high pressure (psi) in the main air tank, and reduced to 250 psi by the reducing valve. This feeds the auxiliary reservoir which is much smaller than the main tank; its purpose is to smooth out the fluctuations in air flow caused by the intermittent admission of air through the throttle valve into the high-pressure cylinder, where it expands. It takes the form of a long pipe rather than a compact tank, because a small diameter gives low hoop stress on the metal, and the length to fit it in is available. The cold exhaust from the HP cylinder passes through the reheater (called in the diagram the interheater) and over tubes through which atmospheric air is being drawn; this heats it, increases its volume, and increases the efficiency of the engine. The air is fed from the reheater to the low-pressure cylinder, where it expands again, and then passes through the jet of an ejector which draws the external air through the reheater. There are one or two nice technical details; the whistle is fed from the auxiliary reservoir which maintains a good pressure to operate it. There is a drain valve for releasing water from the auxiliary reservoir. Both the auxiliary reservoir and the reheater are fitted with pop safety valves. These are a vital necessity in case the reducing valve should stick open, letting through air at 1200 psi. This picture gives a good view of the plumbing. The reheater can be seen lying along the reservoir; the ambient air enters through the holes in the near end; the ejector horn can be seen at the far end. I would have thought adding an inlet diffuser, in the form of a horn attached to the inlet end, would have increased the air flow, but perhaps it would have taken up too much room. The three pipes connected to the reheater are arranged as in the diagram above. The rear end of the reservoir carries the remains of two pressure gauges, the larger being provided with a shut-off valve in case the Bourdon tube breaks. The small lever controlled the throttle, and the larger lever behind it worked the brakes. 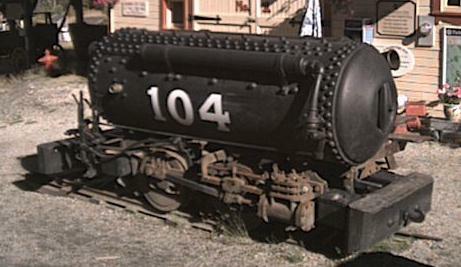 This locomotive was originally used in the Canmore coal mine in Alberta. Triple-expansion loco engine with two stages of reheat by ambient air. Both reheaters are connected to a single ejector powered by the low-pressure exhaust. Note that the medium and high-pressure cylinders are combined in a tandem arrangement. At present it is not clear if any triple-expansion locomotives were built. The diagram above shows a triple-expansion version of the Hodges-Porter system. The source is currently unknown but is probably Porter literature. Air is shown stored at 150 atm (2100 psi) which is a much higher pressure than normally used, and presumably needed triple-expansion to exploit it properly. This pressure was dropped to 25 to 30 atms (350 to 420psi) by a reducing valve. It is further reduced (by the throttle? though it looks like an ordinary hand valve) to something below 15 atm (210 psi) and enters the HP cylinder, which has a safety valve set to 15 atm on the "steam chest" which is a pardonable error on the part of a draughtsman no doubt more familiar with steam locomotives. The IP cylinder pressure is not shown, but the LP cylinder has a safety valve set to 5 atm. (70 psi) All the references to working Porter air locomotives that I have seen indicate they were double-expansion, and it is not currently clear if triple-expansion was actually used in practice. I suspect not. 2100 psi sounds like a frighteningly high pressure to me, given that steam locomotives rarely exceeded 250 psi; that is probably why three storage reservoirs are shown, as a more economical way to contain such a high pressure. The usual dual-expansion Porter locomotives had a maximum pressure of 1200 psi. One wonders about safety. Of course there was no fire or scale build-up to cause erosion of the metal, but even so, I can't help wondering if any of them blew up. It would be rather important to check the inside of the storage tanks for corrosion due to condensed moisture, I suspect. Note that all the Porter reservoirs have an inspection manhole at one end, presumably for just that purpose. Some rigorous Googling has failed to find any reports of a compressed-air locomotive exploding. There is a record of an accident at Lambton D pit in County Durham, England when, on 11th June 1881, John Wilson, age 49, a Shifter, "drove away a small locomotive in the pit, something he had no right to do, and it collided with some tubs and crushed him to death." Presumably he was attempting to reverse it and so was at the end which hit the coal tubs. This example used a storage pressure of 800 psi, and an engine or working pressure of 250psi. The reheater is on the far side of the tank, and the cone of its exhaust ejector diffuser can be seen to the top right, above the tank manhole. The long thin cylinder visible on this side of the tank is a reservoir for air at the working pressure of 250 psi, which has been through the pressure reducer from the main tank at 800 psi. The throttle valve is at the front, operated by a handle and linkage from the drivers compartment. Fittings include a pressure relief valve, a brake lever which applies brake shoes to the steel wheels, air operated sanders to maintain traction, and a driver's stand, which is apparently missing- it would have been at the left, where the control levers can be see. This appears to be a Class B-P-O locomotive: see next section. Note the large number of very big rivets required to hold the air storage tank together, compared with steam locomotives that worked at a much lower pressure. You may be wondering why the working-pressure reservoir is in the form of a long thin cylinder rather than a more compact tank. I suspect the answer is that the long cylinder could conveniently be made out of a length of standard steel pipe, whereas a stubby tank would suffer much greater hoop stresses and would need to been fabricated with heavy riveting, like the main storage tank. The long cylinder would also have a greater surface area to absorb heat from the environment, which would be useful after the air had been cooled by expanding down to the working pressure. This Porter loco was designed for work on the surface, as demonstrated by its large cab. "US Navy" is written on its side. This picture is rather puzzling. It would make sense to use a compressed air locomotive in a Navy arsenal, for safety reasons, but the crane at the far left appears to be steam powered, with a chimney sticking out of its roof. Left: Another preserved Porter locomotive. This Porter loco is in the "Storybook Island" children's park in Rapid City, South Dakota. This looks very similiar to the Porter shown just above, but there no signs of double-expansion plumbing. Once again, there are lots of very big rivets. 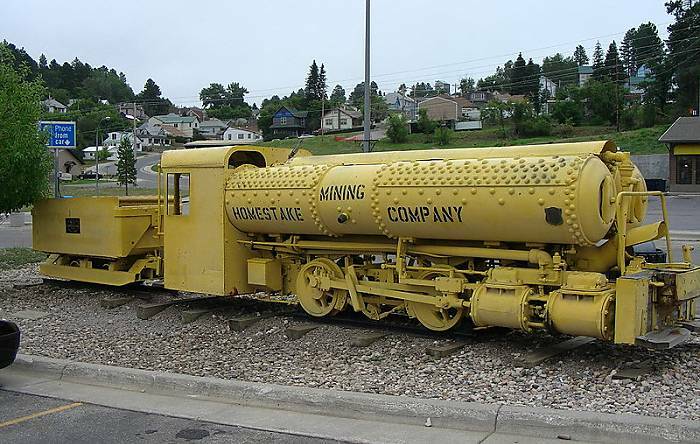 This preserved example of a later Porter design was purchased in 1928, and remained in service until 1961, at Homestake Mine No. 1A. The storage pressure was 1000 psi, 137 cubic feet of air being carried. It weighs 27,000 lbs, is 23ft long, is 6ft 10in high, 5ft 3in wide, and is on view at the Homestake Mine in South Dakota. The Homestake engine has two storage cylinders side by side, because this reduces the hoop stresses in the metal and is therefore more economical to make. The outlet diffuser of a reheater can be seen at the front, with a hood over it; the reheater appears to be mounted between and below the two storage cylinders. Once more this appears to use double rather than triple-expansion of the air. It is somewhat however mysterious why the two tandem cylinders visible at bottom right are of the same diameter; possibly this is the low-pressure side, and tandem cylinders were used to increase the total piston area without exceeding tight limits on side clearance. 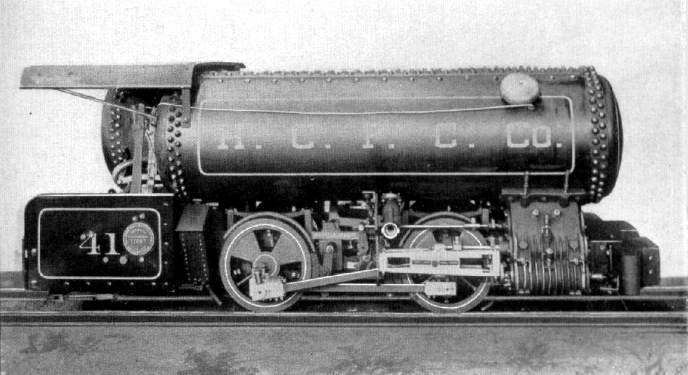 This Porter design is similiar to the Homestake engine shown just above, having twin tanks. Once more there are two tandem cylinders of the same diameter at bottom right. This appears to be a Class B-PP-O locomotive; see next section. The outlet horn of the reheater can be seen at the front between the two tank ends. 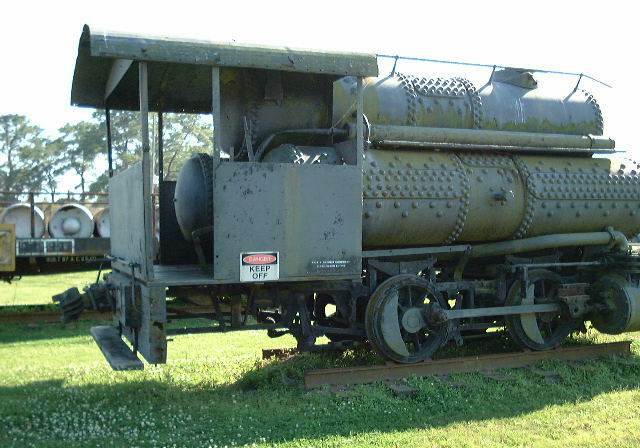 This hefty three-tank 0-4-0 Porter design was built for the New Orleans Sewerage & Water Board in 1915; it is preserved but its current location is unknown. Note the big vertical ejector exhaust horn from the reheater tucked between the two bottom tanks. The thing mounted on the top tank is the remains of a sand hopper to help adhesion. There is another visible just in front of the cab. This photograph shows the same locomotive but in a different location. Note that the nearest tank is shorter to give some room in the cab. I suspect that the small cylinder nestling between the tanks is the auxiliary reservoir for air at working (rather than storage) pressure. I am afraid I have lost the name of the person that sent these last two pictures to me. Please make yourself known if you want attribution. 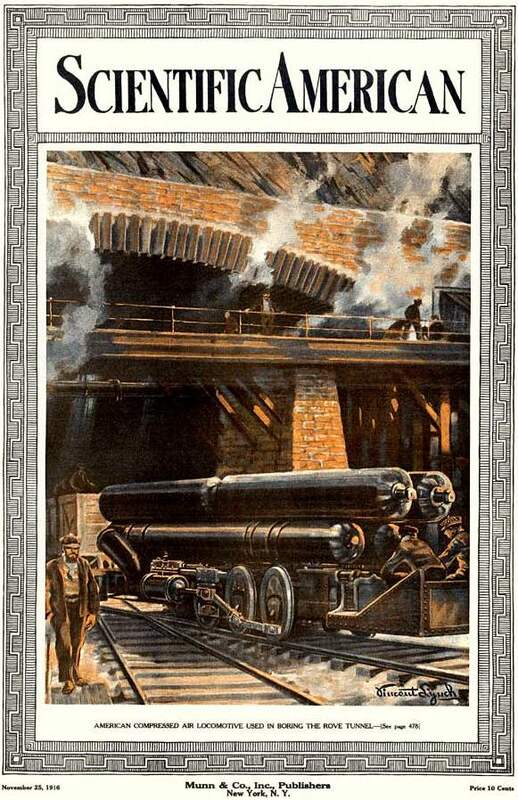 In 1914 the H K Porter Company published the second edition of their book: Modern Compressed Air Locomotives. This gives a detailed insight into compressed-air technology and economics. The illustrations in this section are taken from that book. The book deals with compound (two-expansion) working, but not triple expansion. This compound engine could be had in four variations, called PEBLOW, PEBMUX, PEBNAZ and PEBREC which are telegraphic code words. Each version could be fitted with a range of different capacity air reservoirs. The charging pressure for each version was 700 to 1200 psi. There is also mention of an auxiliary reservoir charged to 250 psi; this was placed between the reducing valve and the throttle, to steady the air flow. It is not visible in this picture. The reheater can be seen on the side of the air tank, with its ejector horn pointing upwards at top left. 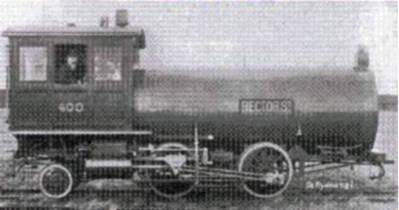 This compound locomotive was available in four sizes, called PECRAB, PECSEC, PECTED and PECVOF. All worked at reservoir pressures from 700 to 1200 psi. It is not very clear from this angle but there are two reservoirs side by side. Note the two tandem cylinders at bottom right; this must be the low-pressure side. A single cylinder of the same piston area would presumably have increased the overall width unduly. This is a six-wheel version of the locomotive above. Once again it is not obvious but there are two main reservoirs side by side. The charging pressure was 700 to 1200 psi, with the auxiliary reservoir working at 250 psi. This is clearly the type of locomotive shown in the previous section, built for the New Orleans Sewerage & Water Board in 1915. Since it is not a mine engine the overall width is less critical, so a single large cylinder can be used on the low-pressure side. The large ejector horn can be seen pointing upwards between the two lower reservoirs. The pipe between the upper & lower main reservoirs is may be the auxiliary reservoir, though this is doubtful given its modest size. Once more the charging pressure was 700 to 1200 psi, with the auxiliary reservoir working at 250 psi. Limitations in height and width meant that only so much air could be stored on a locomotive of practical length. For long-haul (relatively) work the answer was a tender carrying a second air reservoir. This also spread the weight across four axles rather than two. This idea had already been used with some of the St Gotthard locomotives in 1875. 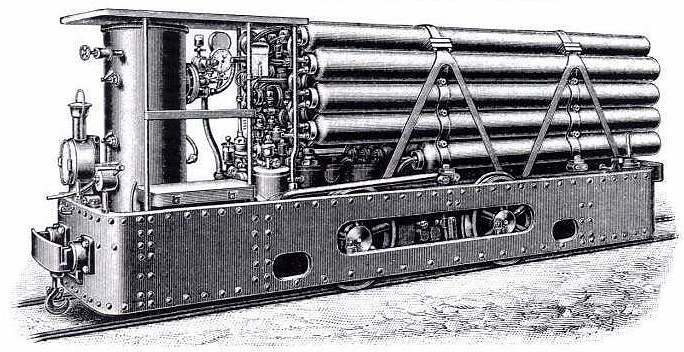 This mine engine had inside cylinders; combined with the tender format it could meet severe width restrictions. There appear to be four air cylinders, two on top and two below. The reheater tube and its ejector horn are on this side and the connection between the bottom two cylinders is just visible behind it. 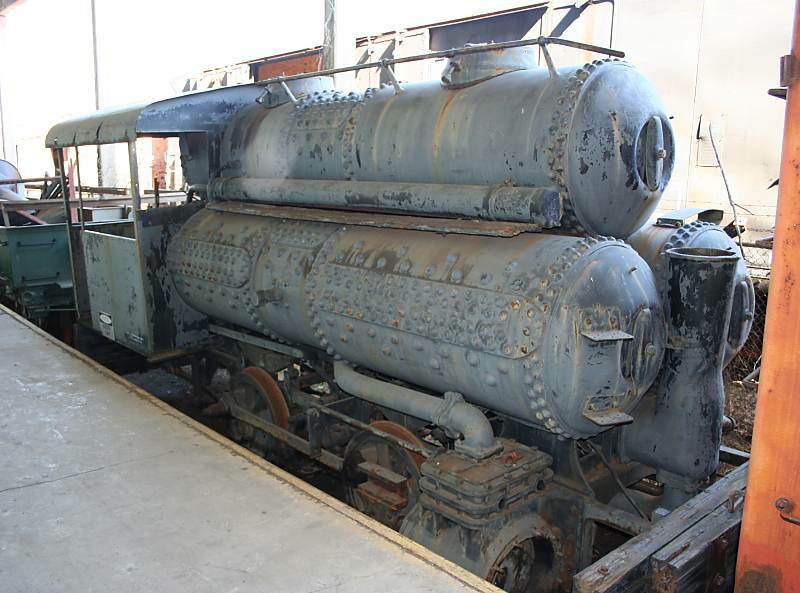 The working pressure of this locomotive was from 1700 to 2200 psi. The cylinders are forged from solid steel rather than built up with rivets, which makes them stronger and more reliable. They also have a smaller diameter to reduce the hoop stress on the metal. The availability of safe air cylinders working at high pressures lead to their use on other locomotives, such as the Hardie, the Simplon locomotives, and modern air locomotives. This seems to be Hardie at work again, some twenty years later with a more advanced design of locomotive. It was intended to run on the Elevated Manhattan Railway in New York, where the ansence of smoke and smuts would have been a major advantage. What looks like a boiler is just a cover for a battery of compressed-air cylinders. A coal-fired hot-water tank was use to pre-heat the stored air before use. The chimney can be seen on the left side of the cab. The plate on the side reads "Rector St"
Left: The locomotive partially assembled. Showing how the compressed-air cylinders are bundled together. It looks awfully front-heavy. It seems unlikely that the weight of the wooden cabin would do much to balance the weight of all those steel cylinders overhanging the front axle. This construction is something of a puzzle. There are a couple of interesting points in the text to the left. 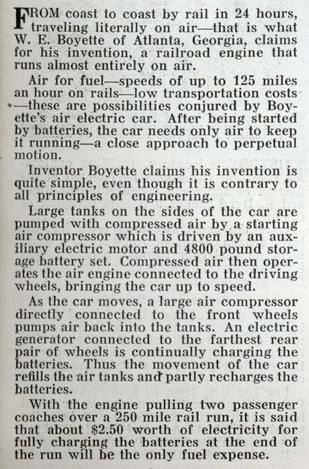 Firstly, a full charge of air weighed over 2500 pounds, or 1.1 tons. Air is surprisingly heavy stuff. Secondly, note the claim that the water evaporated in the air heater made up half the volume of the air/steam mixture, so this counts as an aero-steam system. Once again it was necessary to carry a small coal fire around to heat the air before it went to the cylinders. This must have somewhat undermined the whole effort to do away with smoke and ash. The chimney can be seen at the front of the cab roof. The side plate reads "Rector St". "The accompanying engraving (this refers to the side view just above) shows a new compressed air locomotive recently built by the American Air Power Company for the Manhattan Elevated Railroad Company of New York. The locomotive will be put in operation within a few days on the Sixth Avenue division of that company and will operate between Fifty-eighth Street and Rector Street. The wheels are 42 ins. in diameter; the dimensions of the cylinder are 13 ins. in diameter by 20 ins. stroke, and the storage- reservoir has a capacity of 175 cu. ft. This, it is estimated, will allow the locomotive to make the round trip between Rector Street and Fifty-eighth Street with 20 per cent reserve. The reservoir is composed of Mannesmann tubes with a diameter of 9 ins. and having various lengths, from 14 ft. to 20 ft. 6 ins. The thickness of the tube is 9 ins. The tubes are rolled from solid ingots according to the regular Mannesmann process." "The air is stored in the reservoir at 2000 lbs. pressure. It is used in the cylinder at 200 lbs. pressure with cut-off at 10% stroke. In 5 stroke. Ix passing from the reservoir to the cylinder it traverses the usual hot water reheater and enters the cylinder at a temperature of from 200 to 300 degs. The water is kept heated by a small coal fire. But little fuel is required to maintain this, as will be appreciated when it is stated that only an ordinary scuttleful of coal is carried by the engine. A novel feature of the engine, as will be seen, is the location of the cylinder. This is directly under the cab, giving a short lead for the heated air. The valve mechanism is extremely simple and can be seen in the engraving under the cab. It is operated by the wheel which can be seen through the window of the cab. The weight of the entire locomotive equipped is 47,000 lbs. The power station will be located at 100 Greenwich Street." It is mounted on a traverser, which moved vehicles sideways so they could be transferred from one track to another in the minimum space. That side plate has been moved, but it still reads "Rector St". Above: This 0-6-0 locomotive was built for coal mining by the Dickson Locomotive works at Scranton, Pa, USA. The picture dates from 1899. The difference between the storage and working pressure indicates that a reducing valve was used between the tank and the engine cylinders. Note that 600 psi is a much higher pressure than normally used in steam boilers, which rarely exceeded 250 psi. This is why the tank shown above is studded with very big rivets, compared with a steam boiler. This is characteristic of air locomotives. Baldwin are very well-known as makers of steam locomotives, but they made air locomotives too. In 1897 a compound 0-4-0 locomotive was designed by Baldwin's chief engineer, S M Vauclain, for the Philadelphia & Reading Coal & Iron Company for use in their Alaska Colliery. (This appears to have been in Pennsylvania rather than the frozen north) It was successful and three more were ordered. This is one of the Philadelphia & Reading Coal & Iron Company locomotives, judging by the letters on the tank. This looks like a compound engine, with the larger LP cylinder above the smaller HP cylinder, their pistons moving together. It appears the valve assembly is above the LP cylinder. Note the fins on the cylinder assembly, intended to absorb heat from the environment and reduce the cooling of the air when it expanded. 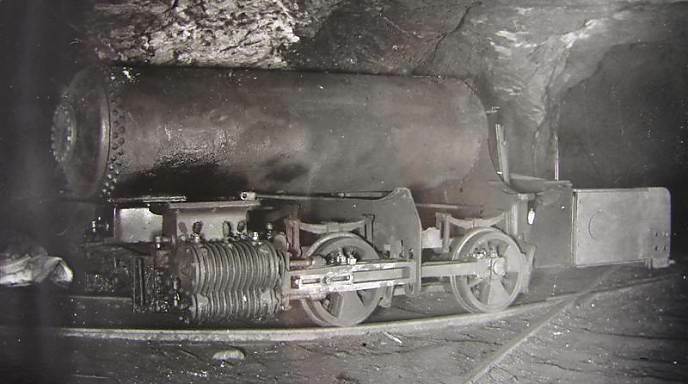 This is believed to be one of the Philadelphia & Reading Coal & Iron Company locomotives underground. Note the distictive two-section balance weights built into the wheels. This machine appears to be in a sorry state, with the valve assembly above the cylinders missing. A compressed air locomotive built for the Ashland Coal & Iron Railway co. by the Baldwin locomotive works of Philadelphia, date unknown. There are three storage tanks. Only two are visible; a smaller third tank is mounted between the frames. One of the two upper tanks is shorter than the other, to make room for the very cramped cab. The ends of the tanks appear to be dished inwards to better resist the internal pressure. Air was stored at 600 psi, and was used at 100 psi. The engine required a vertical clearance of 5 feet, and 6 feet in width. It would take curves of 30-foot radius. There only seems to be one cylinder visible so this appears to be a simple-expansion design. 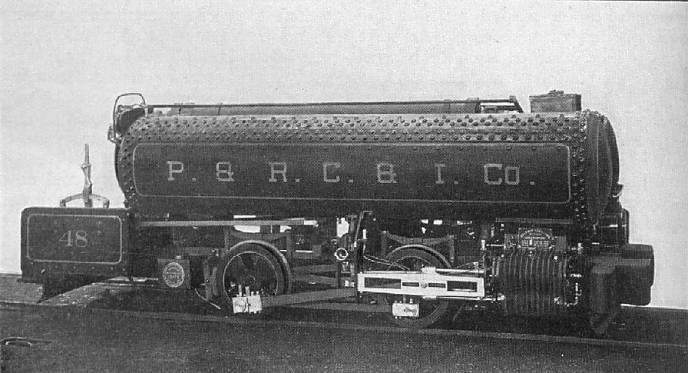 A compressed air locomotive built for the H. C. Frick Coke Co. by Baldwin, date unknown. Number 41 was a 40" gauge locomotive. It is believed to be a compound with 3.75" & 6" diameter cylinders of 10" stroke, with 24" driving wheels. The tank nearer the camera is shorter to allow room for a cab, and carries a warning gong. The Baldwin works number was 17857 06-00. Air storage and use pressures unknown. This diagram illustrates the application of an air heater patented by Vauclain. Air was stored in a number of small-diameter cylinders rather than large tanks, as for the Hardie locomotive above. I haven't done the calculations, but I would have thought that the use of a number of small-diameter cylinders (apparently 24 of them) rather than one or two large tanks was an inefficient use of metal. A reducing valve at the front of the cylinders admits air into the large cylinder just above the chassis, which is an air receiver surrounded by a cylindrical hot-water drum. Some of the water was sprayed into the central air receiver to improve the heating and help lubricate the cylinders; for this to work I imagine the hot-water drum must have been pressurised by air from upstream of the reducing valve. The hot water was provided from an external source, and this seems like a serious drawback, as it would presumably need to be changed frequently, and probably much more often than the air tanks need to be refilled. Note the exhaust pipe directed up the chimney. The Simplon Tunnel links Switzerland and Italy, running beneath the Alps. Construction began in 1898 and the tunnel was opened in 1906. Some sophisticated compressed-air locomotives were built for the tunnel construction by the Swiss Locomotive Works in Winterthur. Here a large number of small-diameter tubes were used for air storage, suggesting that the pressure used was high. They were not afraid of high pressures at Winterthur. The vertical cylinder on the left is the reheating tank for the air. In the article below it is stated that the tank was filled with superheated water, ie water that would flash into steam if were not under pressure. This increased the thermal storage capacity of the water; it would be interesting to know what water pressure was used. 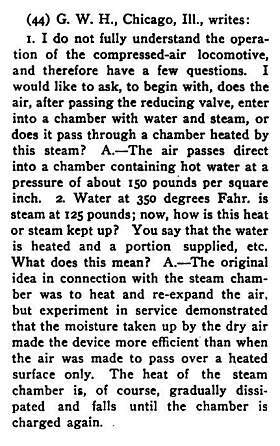 This is from an article in Compressed Air Magazine in 1902. The first part of the article is of little interest so I have just reproduced the technical stuff here. Note the working pressure was 147 to 220 psi, while the storage pressure was from 1028 to 1175 psi; which is about half that of the Hardie locomotive described above, which used 2000 psi. Note also that this locomotive was unusual in having a single cylinder geared to the rear axle. I would have though this would have caused dead-centre problems, but no mention of this has been found so far. This is the only photograph of a Simplon locomotive found so far. Sadly it is of poor quality and the image has become deformed at some point. Side elevation of the locomotive. The lower storage cylinders are shorter to allow room for the engine. Plan of the locomotive. The engine and its gearing can be seen in the lower half of the drawing, left of centre. Top: end elevation showing the linking of the storage cylinders. The material from Compressed Air Magazine was kindly provided by Mark Lundquist. This remarkable locomotive is powered by two square-piston engines, one each side of the frame, coupled together and driving a layshaft through spur gearing. This then presumably drives the rear axle, though quite how this is done is not visible. This is clearly a very small locomotive, judging by the size of the seat at left, and and there is no room for conventional cylinders and pistons. This looks like a dangerous piece of machinery to operate. That unguarded gearing is enough to worry any man. The engines are clearly Dake square-piston engines, identified by the V-shaped steam channels on the outer side of the casing. There appear to be three small drain taps at the bottom of the nearest engine. I am glad to report that the Rix company still exists: rixindustries.com. From Compressed Air Magazine Jan 1902 (No 11 Vol 6). I have not so far been able to get hold of the text of this article; can anyone help? The L�tschberg Tunnel is a 9 mile long railway tunnel on the L�tschberg Line, connecting Spiez and Brig at the northern end of the Simplon Tunnel in Switzerland. Work began in 1907 and finished in 1913. Its construction was marked by several serious accidents; in the worst, on the 24th July 1908, the tunnel broke through into a flooded valley that was much deeper than expected and killed 25 out of 26 miners. This is known as the Lotschberg Tunnel Disaster. This photograph of a celebration train was taken in March 1911 when the tunnel was holed through. 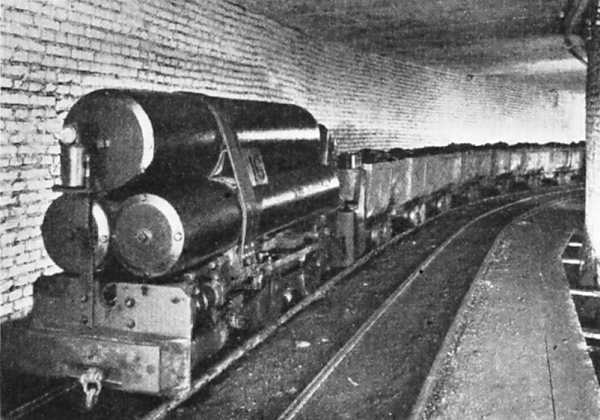 Five compressed air locomotives were used in the tunnel, and it at first seemed likely that these were the same machines that had been used in the Simplon tunnel, which opened in 1906; However, the storage cylinders are clearly quite different. Confirming this, The Engineer for 8 Dec 1911 says the L�tschberg locomotives were made by Thebault, of Marly, France, and not at Winterthur like the Simplon locomotives. Compressed air for the locomotives was supplied by compressors made by Meyer, of Mulheim. There were two, each of the 400 horse-power two-cylinder duplex type. The main reservoirs for the locomotive air were supplied with 0.3 cubic metres of air per second at 120 bar. The compressors were powered by electric motors, in turn powered by hydro-electricity generated remotely by Pelton wheels. Regrettably this photograph is of poor quality. It is possible to make out horizontally-stacked storage cylinders and their connecting pipework and the oil lamp on the front. The cab is presumably at the other end, where the man is standing, apparently with one foot on the footplate. This dramatic illustration shows a four-tank compressed-air locomotive at one of the portals of the Rove Tunnel, a 4.5-mile canal tunnel built between 1911 and 1916 in France to allow the Canal de Marseille au Rh�ne to reach Marseille harbor. It is the longest canal tunnel in the world. No information about the locomotive has so far been unearthed, but I suspect that the prominent exhaust horn (at the front of the locomotive) marks it as a Porter design. It is difficult to be sure from the illustration, but it is possible that there were actually four top tanks, making six altogether. The top tanks appear to be longer than the lower ones, extending back over the heads of the driver and his mate. 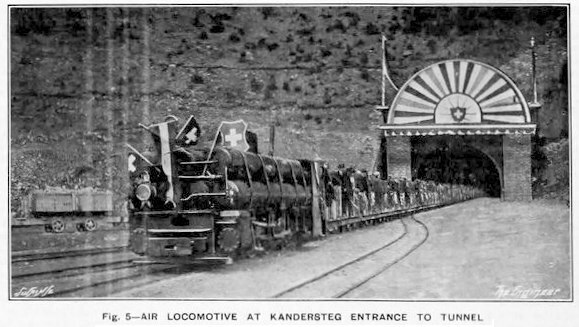 This appears to be a very large locomotive compared with other designs on this page. In 1926, after twenty years of work and World War I, the Rove tunnel was finally opened for use, surviving only forty years (a very short time for a canal tunnel) before suffering a collapse and being abandoned for traffic in 1963. The French Wikipedia has more details of the Tunnel du Rove, but not unnaturally the text is in French. The artist may have let himself get a bit carried away here- if the locomotives run on compressed air, why is steam drifting out of the tunnel? 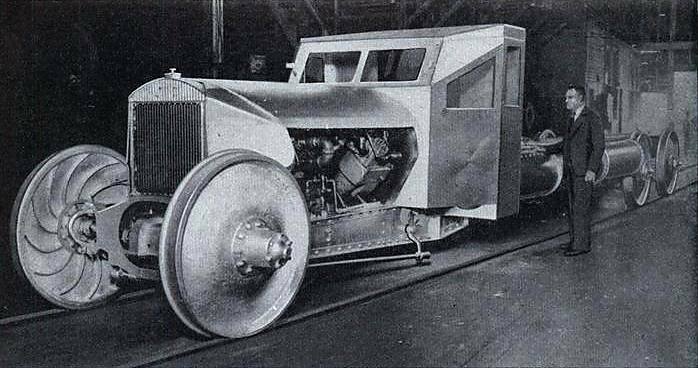 THE HUDSON COAL COMPANY COMPRESSED-AIR LOCOMOTIVE: 193? Left: Hudson Coal Company Compressed-Air Locomotive: 193? Nothing is known about this machine except where it was used. It looks very much like an improvised one-off, constructed with several long cylinders to hold the air. At its peak the Hudson Coal Company employed ten thousand men at its fourteen anthracite mines in Pennsylvania. By 1940 it had installed 650 miles of underground track on which it ran 275 electric locomotives and also kept 1,100 mules in underground stables to pull coal trucks when required; presumably any compressed air locomotives had been disposed of by this date. At one time the Hudson was a subsidiary owned by the Delaware and Hudson Railroad Company. This bizarre machine was an attempt at perpetual motion rather than a practical compressed-air locomotive. The basic propulsion of this piece of eccentricity was by big tanks of compressed air. That would not have got it very far, and certainly not from coast to coast of the USA. However, the phrase "perpetual drive" in the title explains everything. The stored air used by the air engine is replenished by a wheel-driven air compressor. I hope I don't need to explain that this is a crude attempt at perpetual motion without the faintest possibility of working. It does not appear to have been an attempt at regenerative braking. But the inventor did not stop there. Oh no. There is a second perpetual motion system in which a wheel-driven electrical generator charged a bank of batteries (4800 pounds of them) which drive an electric motor which drove another compressor to keep the air tanks topped up. This is of course even madder than the first system because of the extra losses in the generator, batteries, and electric motor. The main interest in this story is in speculating how Mr W E Boyette managed to convince himself that it would work, for long enough to finance and build this monster. The writer of the article wasn't fooled- he nails it as "contrary to all principles of engineering" and I couldn't agree more. A point of detail: just below the man's lifted leg is what looks like a conventional steering link to the front wheels. Was it supposed to travel off-rail in some way? Note the extraordinarily optimistic estimate of running costs at the end of the text. Another view of the Boyette monstrosity, this time from Popular Science, who stated it was about to undergo a trial run between Atlanta and Jacksonville, Florida. In this picture what appears to be a V-twin compressor (or air engine?) can be seen under the bonnet. 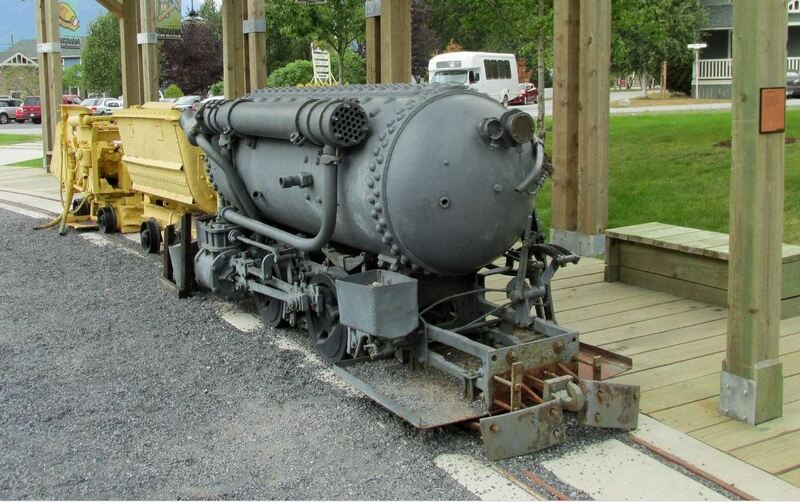 Left: This is believed to be a German mine locomotive: 1951? 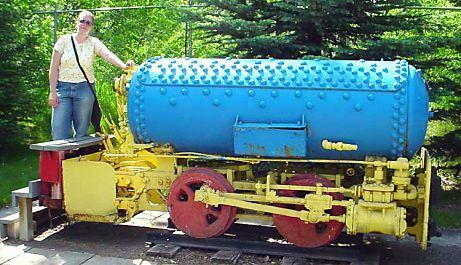 Pneumatic locomotives often used multiple cylinders for air storage, rather than one large tank. 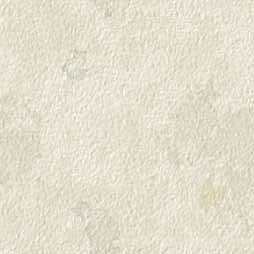 It reduces the stresses in the metal and is therefore more economical to make. Note the unequal sizes of the cylinders used here. 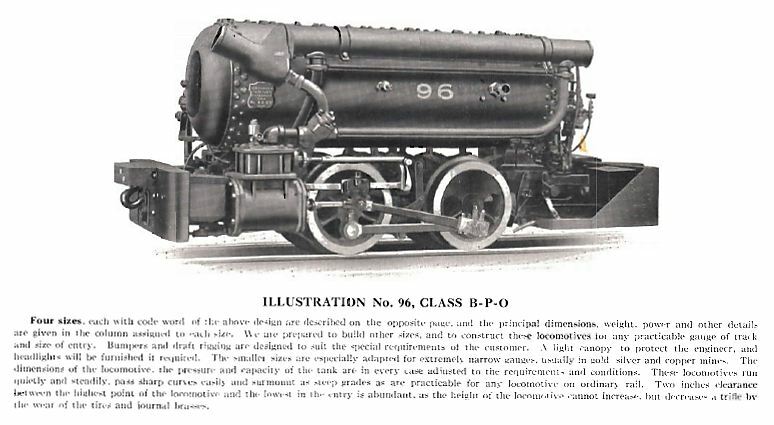 This locomotive was pictured in a book published in 1951, but it looks primitive compared with the 1955 model below. According to Prof Statham, air locomotives were not used in British mines. (Presumably he meant in 1951, for they were certainly used in Britain before 1900) They were however extensively used in the Ruhr coal-field in Germany, the number in use rising from 617 to 1223 from 1919 to 1940. Compressed air was produced at the surface by multi-stage compressors, and sent underground via pipes from 1.125 to 2 inches in diameter. The pressure used was from 1800 to 3000 psi. The range of the locomotives used was from 2.5 to 6 miles; charging stations were set at intervals along the mine roadways. From one to nine storage cylinders were used, and the charging time was from 1 to 2 minutes. The smaller engines weighed 6 tons and developed 14 HP, while the larger weighed 10 tons and gave about 40 HP. The usual speed was 6 - 7 MPH, and the tractive effort varied from 990 to 23360 pounds when starting, and 530 to 1700 pounds when running at normal speed. Prof Statham was not impressed by air locomotives. He states that they are inefficient, (unarguable, due to the heat lost when compressing air) and noisy. (Though surely some sort of silencer could be used? Car silencers seem to do a good job without causing excess back pressure) He also claims that capital and running costs were high. Capital costs may well have been high, as these locomotives were made in relatively small numbers, with not much economy of scale. As to the running costs, perhaps he was thinking of the inefficiency, as there seems to be no reason why much in the way of maintenance would be required. Certainly much less than for steam engines. Left: A slightly more modern pneumatic locomotive, the Jung PZ 20 Pre�luft-Grubenlok, or "compressed air pit locomotive", built in 1955. 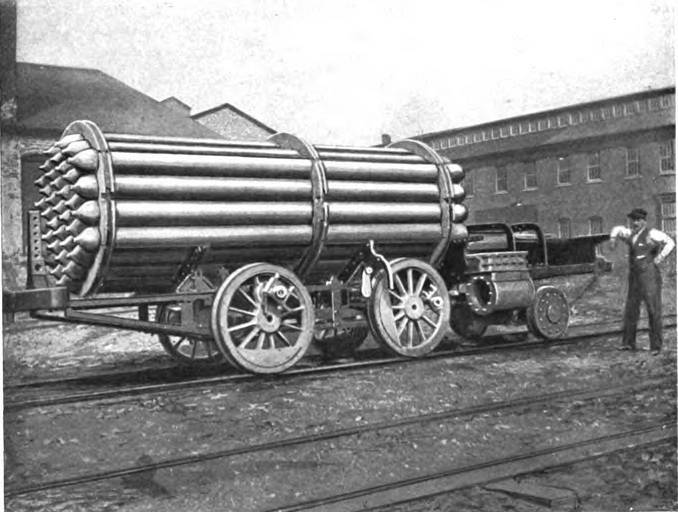 This pneumatic locomotive also uses multiple air cylinders, but this time they are all the same size. Note that the storage pressure has risen by a factor of five compared with the Dickson locomotive above. It is a sad fact of life that all the heat generated when compressing air is lost, and cannot be reclaimed. The energy required can how ever ne reduced by doing the compressing in two or more stages, with cooling of the air between stages. 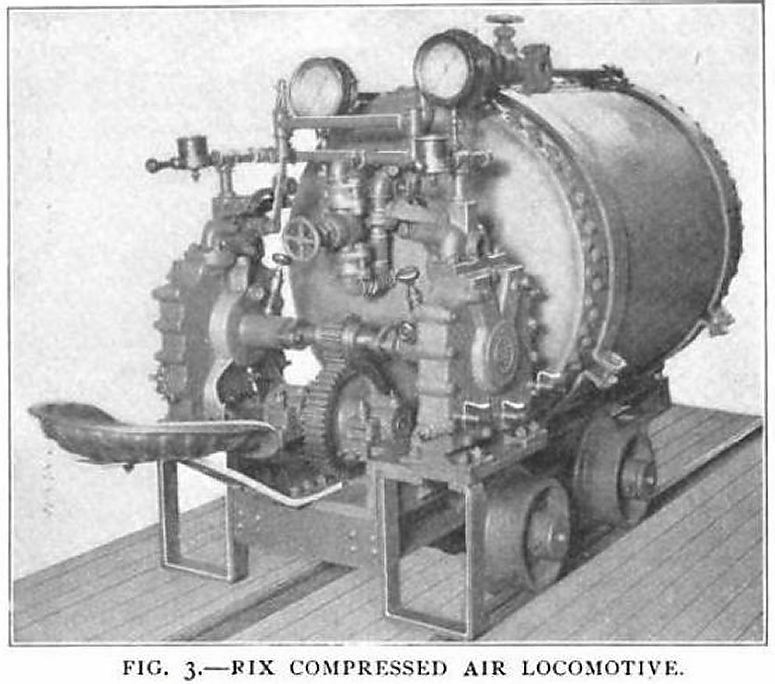 According to Porter's book, (1914) multistage compression came into general use around 1890, and compressors for charging locomotives used three or four stages with inter cooling. This was said to reduce the heat losses from 96% to 17%, assuming isothermal compression. Interesting historical material, but some worrying references to what appears to be perpetual motion.